On a typical steamy mid-August morning at White Deer Golf Complex, I arrived early to spend a few hours grinding in the hot central Pennsylvania sun. Wedge ladder drills on the range, flops shots and bump-and-runs around the greens, and clock putting drills were all in a morning’s work. One by one my high school golf teammates joined me at the course, where we’d head out for another afternoon qualifying round in advance of our upcoming season. As standard as it started, this day turned to be anything but routine. A bevy of early round birdies left me with a 6-under par 30 on the front and in striking distance of the 8-under par course record. I had been in similar positions before, and reminded my 17-year old self to stay in the moment. A well struck 9-iron to 15-feet on the 12th followed by a soft flop shot to tap-in range a few holes later on the par 5 14th, and I stood at 8-under par. Unchartered territory to say the least. 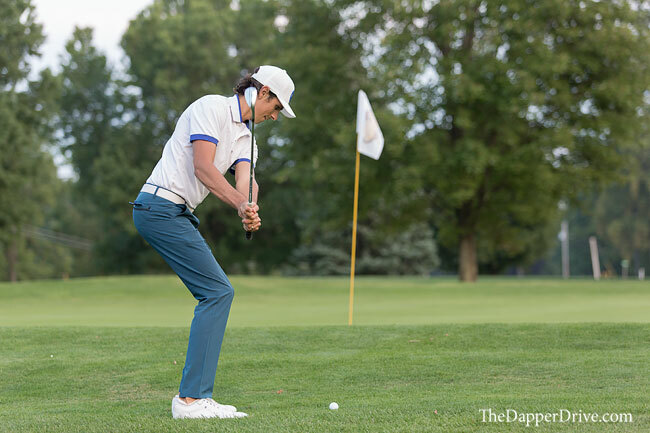 Though I tried to remain calm, nearby groups had begun to stop and watch as chatter of my unprecedented play made it’s way around the course, thanks largely in part to my energetic high school golf coach — who happened to be playing alongside me this day. After narrowly missing a 20-foot birdie effort on the 15th, I vividly remember standing on the 16th tee, knowing what I needed. Birdie one of the last three and the record would be mine. “Let’s get it here,” I thought silently to myself. Reaching into my pocket, I grabbed my Titleist Pro V1, teed it high, and ripped my best drive of the day, peeling a fade ever so softly down the left-center of the fairway. 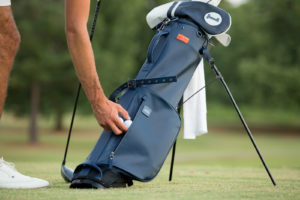 Walking toward the tee shot and seeing where the mighty lash had finished, my noticeably anxious coach peered toward me with a smirk — “You get all of that one? 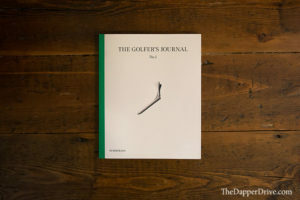 Come’on bud, you got this.” Off a gentle downslope to a front left pin, tucked behind an inviting sand trap, I crisply clipped a sand wedge off the sun-burnt turf. 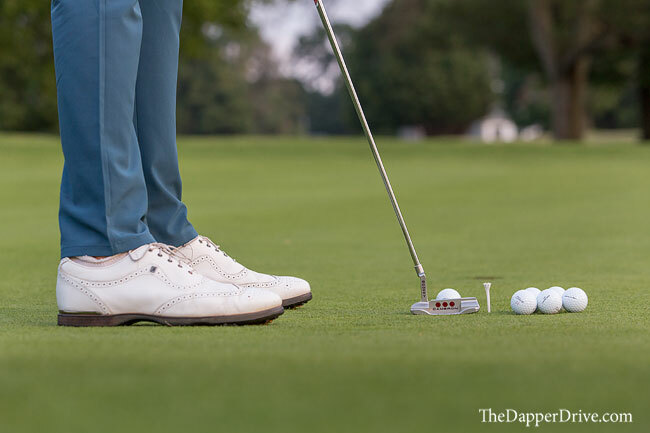 I watched as the low-flighted wedge pierced through the air, landing with one big hop on the firm surface before engaging the brakes, quickly zipping to a halt 8-feet past the hole. With sweaty palms I would roll in that putt, watching the black “Pro V1*392” marking turning end-over-end before finding the bottom of the cup. 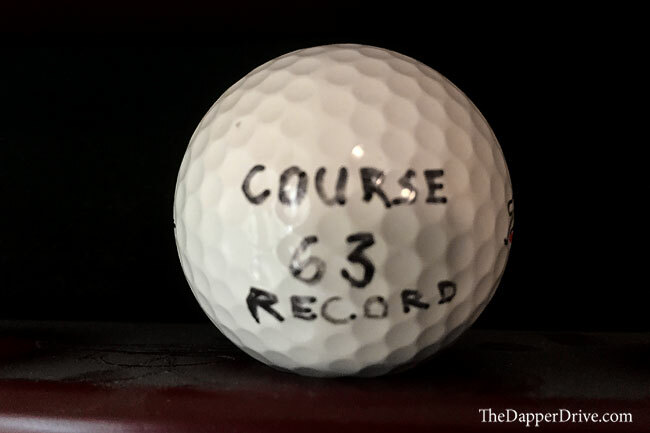 Two pars later, and that course record 63 was mine. The year was 2003, and I had only recently began playing the Titleist Pro V1, but already I was hooked. This is the best golf ball I’ve ever played. 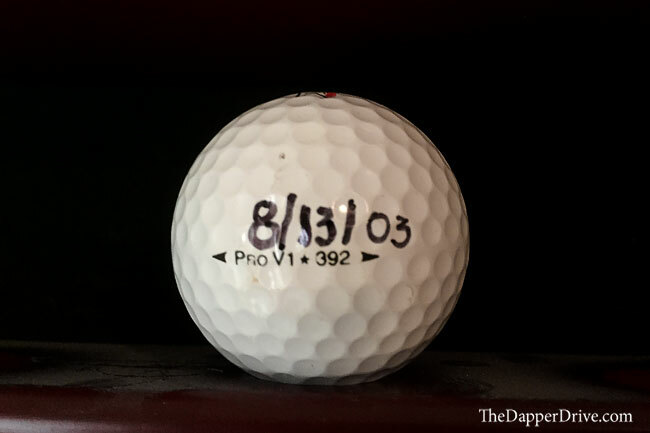 Nearly fourteen years removed from that magical August afternoon, and the only thing that’s changed about my go to golf ball is the letter “x” stamped after the “Pro V1.” Truthfully, I can’t recall exactly when I made the switch from the Pro V1 to the Pro V1x, but I do remember it being a year or two after it’s 2003 introduction to the golf world. As a 6’4” guy, my self-made swing is more upright than most, meaning I naturally play a left-to-right shot shape. 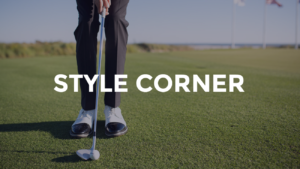 Aside from a brief, yet regrettable period in my late teens where I was told “great players today draw the ball,” I’ve stuck with that natural fade and worked to grove it to a reliable go-to shape on most every shot. Initially I was reluctant to change from the Pro V1 golf ball I’d quickly grown to love. Not only had it led to my career low 63, but the added distance and soft feel was the new normal for my golf ball of choice. The proverbial “if it’s not broke, don’t fix it” mentality was in full force. As luck would have it, I stumbled upon a nearly brand new “Pro V1x 392” (as it was called originally) in the weeds during a casual round. Let’s try this thing out. Nine holes with the X, and I was back in the pro shop haggling with the head pro to see if he’d cut me a deal on some golf balls. 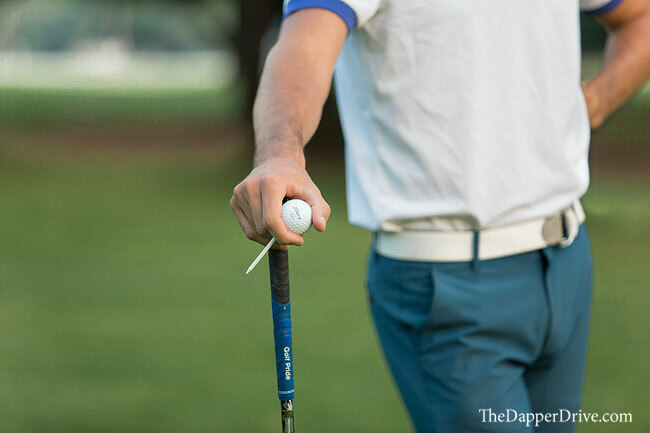 Almost immediately I was attracted to this less-spinning counterpart, enjoying a bit more distance off the tee with noticeable added control in my short-iron and wedge game. Over the years, there are a few key reasons I’ve been drawn to the Pro V1x. 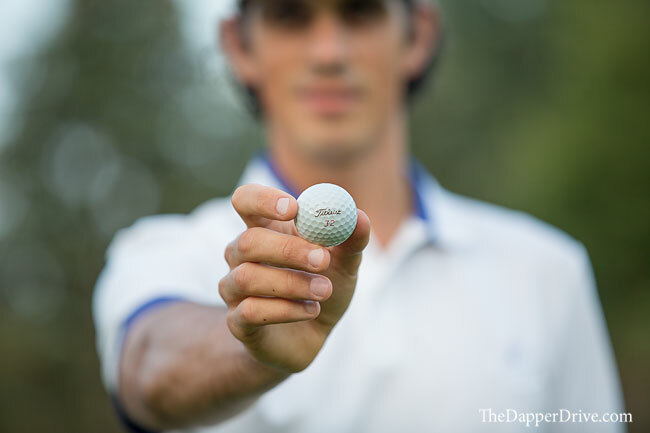 Firmer feel — The Pro V1x is still very much a soft-feeling golf ball. However, I prefer the slightly firmer feel than it’s Pro V1 counterpart. Feedback on irons is a little crisper to me and the feel off my Scott Cameron putter is a little more solid. 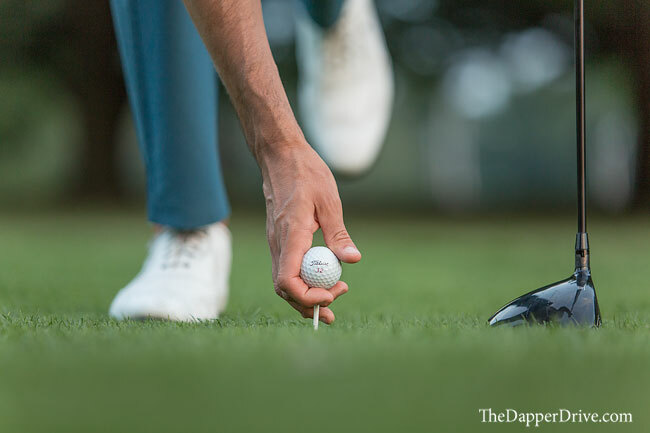 Less spin with wedges — At times, I had issues spinning the Pro V1 too much. Soft greens frequently lead to wedges and short irons zipping back more than I’d intended. Switching to the X reduced this spin and helped increase control. And, I was still able to get the ball to stop quickly around the greens when needed. Better driver trajectory — My “big miss” with the driver was always a high right ball flight. Certainly no fault of the golf ball, but the high-spinning Pro V1 didn’t help with these ill timed swings. They’d most frequently happen into the wind, as the ball ballooned up and to the right. Enter the Pro V1x. As mentioned before, not only did the X fly a bit further, but the lower spin also muted the effects of my common miss. Those high right misses would stay on line a bit more, resulting in better outcomes overall. Durability — This is a common trait of both balls, but I think it’s worth noting. There were times over the last decade when, usually at the ernest of a golfing compadre, I’d try other branded golf balls. Even on the rare occasion when a brand performed in the realm of the Pro V1/x, I was often left looking at beat up balls after 9 or so holes. 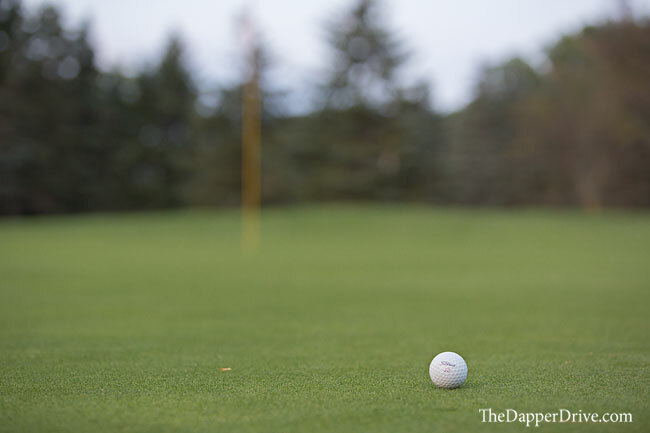 On the occasion I don’t spray one into the woods or plunk one in a water hazard, I’d like to think a golf ball can hold it’s own for 18 holes of golf! That’s certainly the case with Pro V’s. 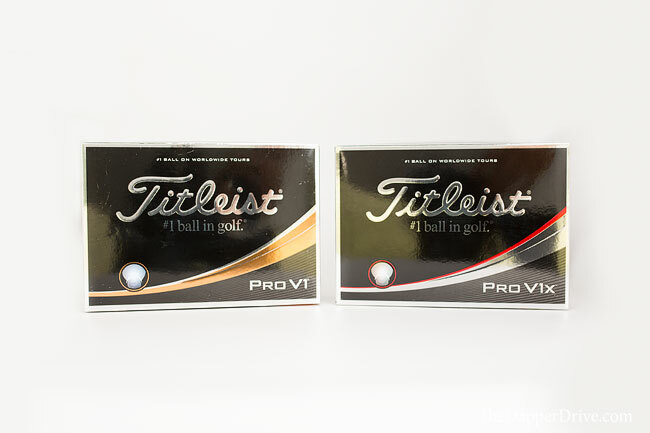 If you follow the golf equipment landscape, you know that Titleist unveiled new Pro V1 and Pro V1x golfballs this year. It’s the 10th generation for the Pro V1 and 8th for the Pro V1x, and each have generated a lot of buzz given enhancements to the golf balls this year. Most notably, the Pro V1 underwent changes to its core to, giving it added distance while maintaining that super soft feel beloved by many. Based on this and other variations to the ball composition, the driver (and other longer clubs) generate less spin than the previous model, while shorter irons and wedges (which rely more on the ball cover for spin) maintain a similar amount of spin. As the longest Pro V1 ever made, and with less driver spin, it got me wondering — do I make the switch from the X, back to the Pro V1? I snagged some of the new 2017 Titleist Pro V1’s and Pro V1x’s and headed to the course for some testing. The verdict? It was close, but for now I’m still an X guy. The new Pro V1 makes a compelling case as it’s just about as long as the X (though I fly the X further, the lower flighted V tends to roll more), and those pesky high-right misses I mentioned seemed to be more forgiving with the new Pro V1. In the end though, I still lean toward the X as I drive it a bit further, and really do prefer the slightly firmer feel it touts. By and large, both balls are long, soft and perform – in my opinion – at a level unmatched by any other. If you’re not playing this golf ball, it’s time to make the switch. 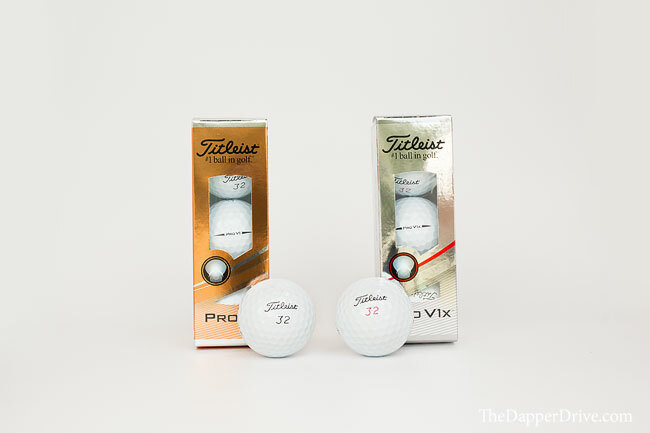 The only question that remains for you … Titleist Pro V1 or Pro V1x?